I missed a phone call earlier – I’d just stepped out of the office for 5 minutes and when I came back in I had a missed call. 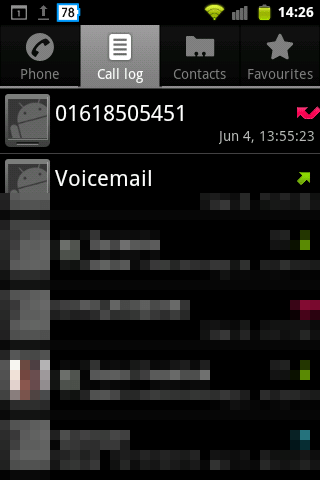 I hate missing calls, because my mobile is the main contact for all sorts of services. A missed call could just be an irritating sales call or it could mean that someone’s just ordered themselves a new Ferrari using my credit card details. So I’ve taken to Googling the phone number. There are a lot of nuisance call prevention web sites out there and they’re pretty good at filtering out cold callers. There’s not much chance of me calling this one back, it’s a PPI (re)claim company and not only do I not entertain cold callers but I’ve never had PPI. This entry was posted in Life on 2013-06-04 by Tom Fosdick.